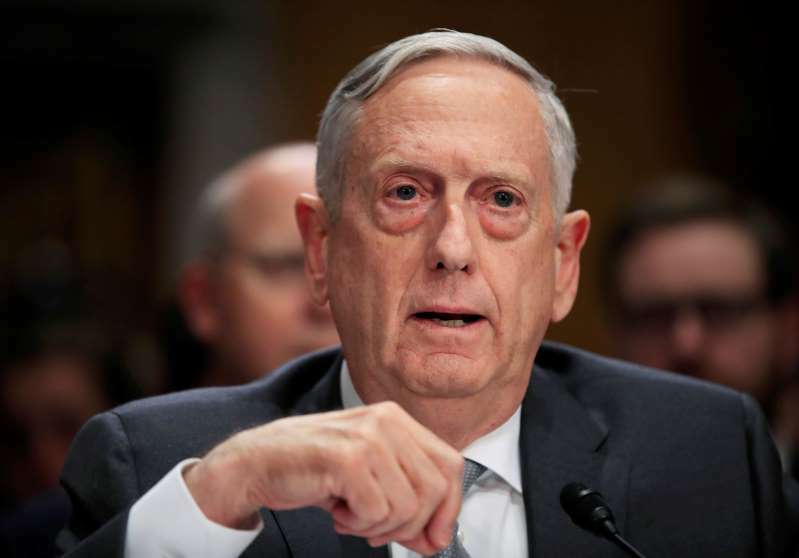 Defense Secretary Jim Mattis said Monday that he doesn't see the U.S. relationship with China worsening after a series of setbacks that officials said include canceling the Pentagon chief's planned visit to Beijing this month. China also protested a recent mission by nuclear-capable U.S. B-52 bombers over the disputed South China Sea, calling the flights "provocative." And on Sunday, the U.S. Navy destroyer USS Decatur sailed close to Chinese-claimed islands in the South China Sea. At the center of the tensions is a growing U.S.-China trade dispute. Each country has imposed tariff increases on the other's goods, and Beijing has accused the Trump administration of bullying. In recent days, however, China's anger spiked when the U.S. announced a $330 million military sale to Taiwan. And Beijing also opposes a U.S. decision to issue a visa ban and assets freeze on China's Equipment Development Department and its director, Li Shangfu. The U.S. action relates to China's purchase from Russia of Su-35 combat aircraft last year and S-400 surface-to-air missile system-related equipment this year. Those purchases violated a 2017 law intended to punish the Russian government for interfering in U.S. elections and other activities. As temperatures rose, the Chinese foreign ministry warned of "severe damage" to bilateral relations if the Taiwan sale goes through. "I just think it's part of reality," Mattis said Monday. "We're two, as you said, great powers, two Pacific Ocean nations. We have various issues: diplomatic, economic, security. We're going to have to find ways to work them out. We will." Beijing considers the self-ruled island of Taiwan to be a renegade province. Washington has no official relations with Taiwan's democratically elected government but is obliged by U.S. law to see that it has the means to defend itself.